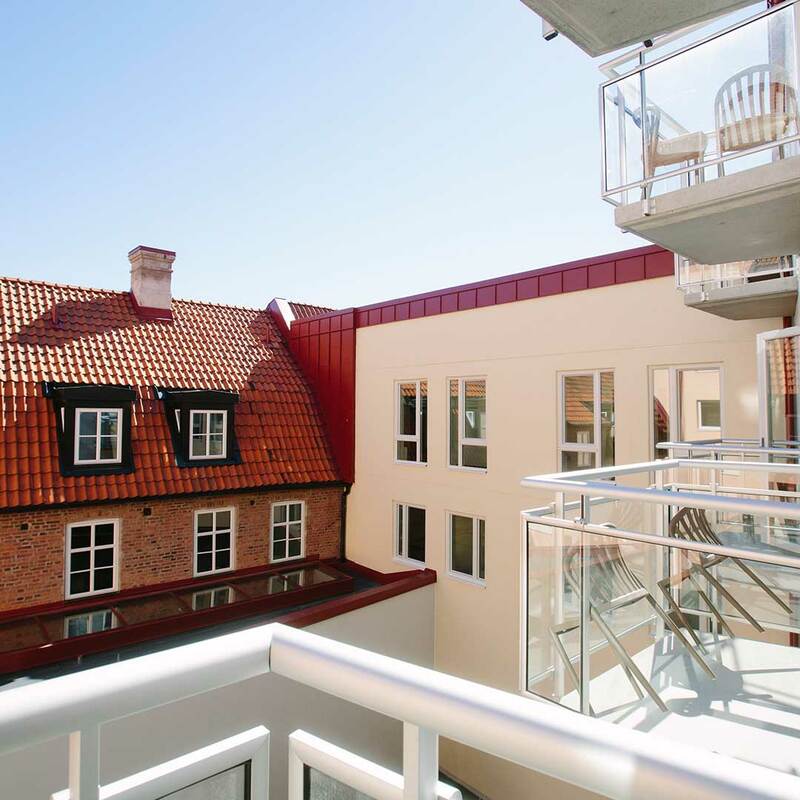 At Hotell Nordic Lund you’ll find period details like slanted ceilings with exposed beams and hidden nooks. All our rooms have air conditioning, WiFi and fully equipped kitchenettes. We also have a lovely garden where you’re more than welcome to sit down with a cup of coffee or enjoy a good book. 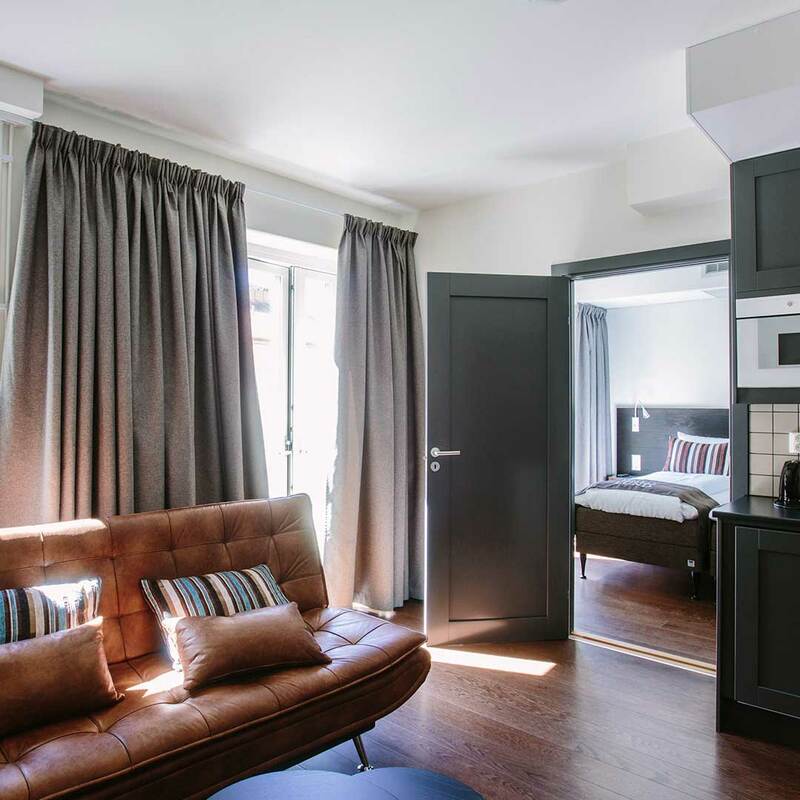 All rooms include: • Wi-Fi • Phone • wake-up service • daily cleaning • flat screen tv • air conditioning • desks • Shower • Hairdryer • iron and ironing board • kitchenette with refrigerator, stove, microwave oven, kettle, dishwasher and utensils • dining table. 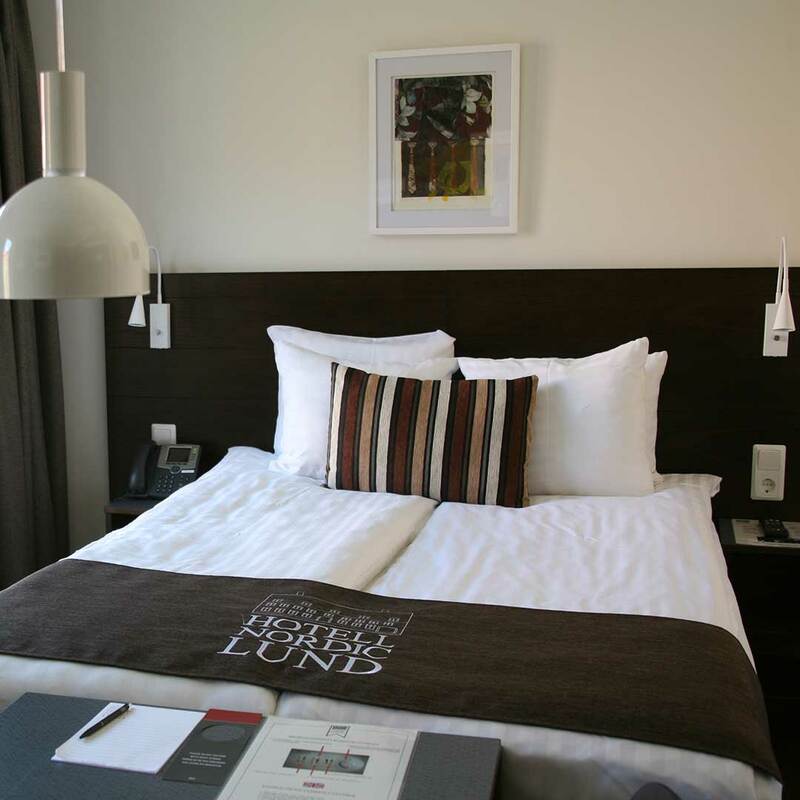 Bright standard rooms with a comfortable 105 cm bed and a fully equipped kitchenette. • Fully equipped kitchenette with refrigerator, stove, microwave oven, electric kettle, dishwasher and kitchen utensils. • Room Size: approx. 17 m². 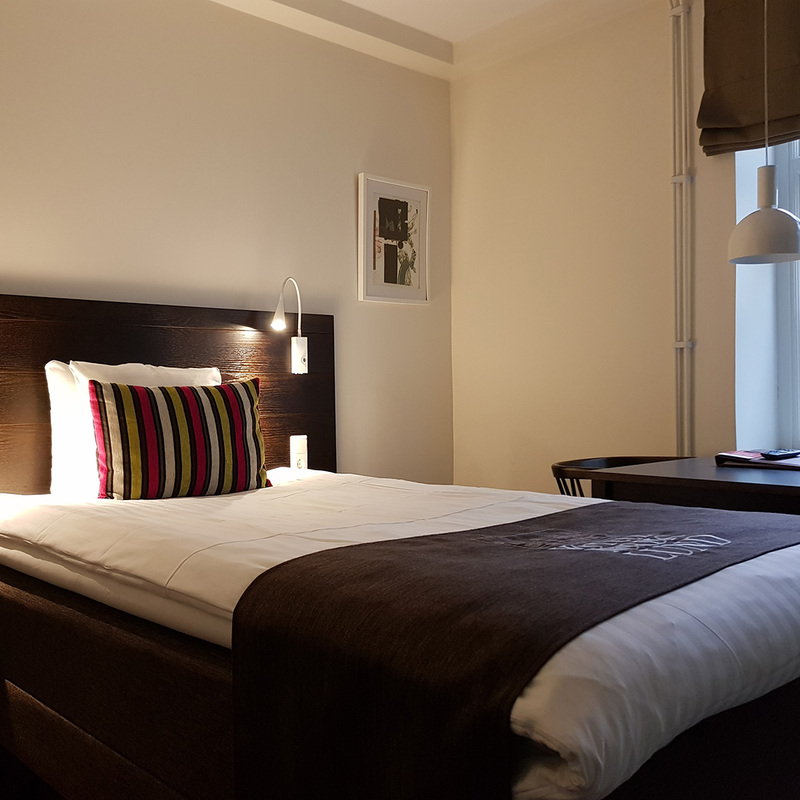 Bright standard rooms with a comfortable 140 cm bed and a fully equipped kitchenette. • Room Size: approx. 19 m². Our little more spacious standard room with fully equipped kitchenette. Standard Large rooms have different bed selection possibilities. • 2x90 / 2x105 cm-beds. • Room size: approximately 21 m². Superior is the more luxurious rooms and most have a private balcony. In addition to the fully equipped kitchenette is our Superior rooms equipped with own Nespresso machine. • Most of our superior rooms have their own balcony or patio. • Fully equipped kitchenette with refrigerator, stove, microwave oven, kettle, dishwasher, kitchen utensils and a Nespresso coffee machine. • Fruit/chocolate and mineral water on arrival. • Size: approx 20 m². 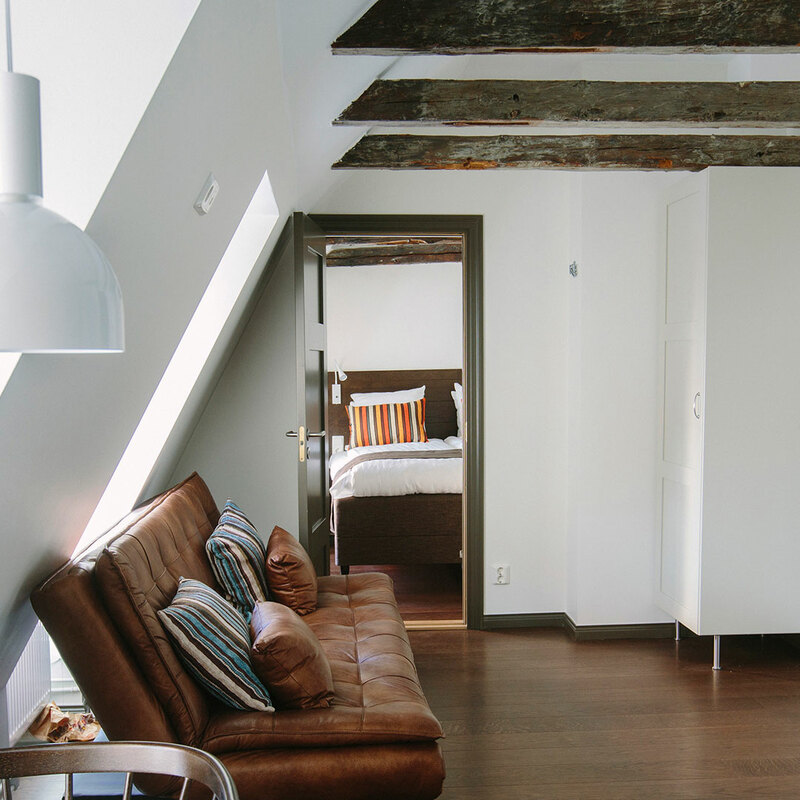 Here you will be greeted by period features such as sloping ceiling with exposed beams and two rooms. In addition to the fully equipped kitchenette is our junior suite equipped with own Nespresso machine. • One room has adjustable beds and a private balcony. • A bathrobe and slippers are included. • Size: approx 33 m². 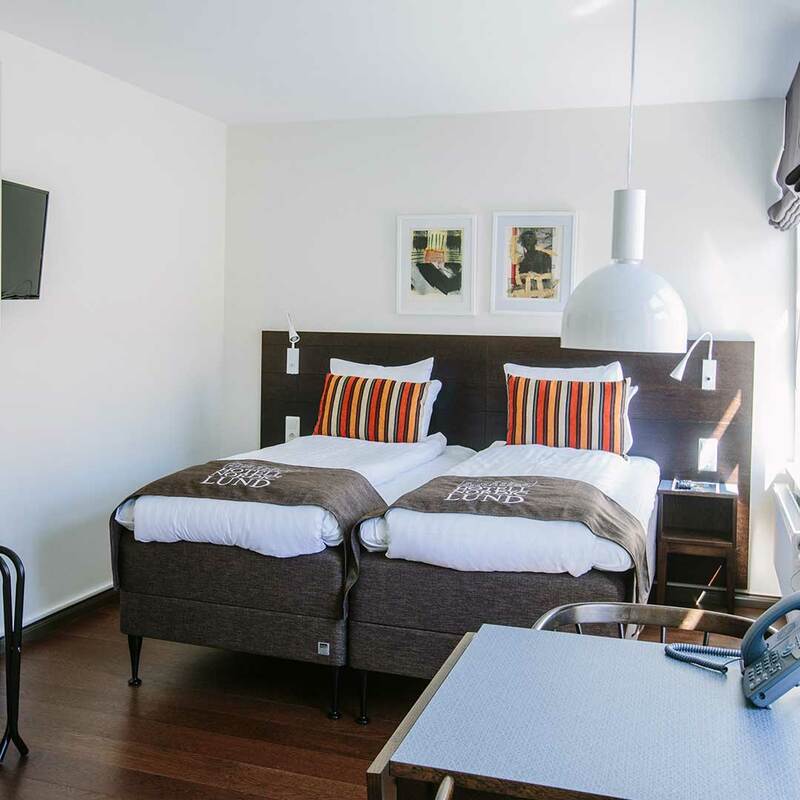 Our family rooms consist of one spacious room with separate bedrooms and convenient kitchenette for your own cooking. • Fully equipped kitchenette with refrigerator, stove, microwave oven, kettle, dishwasher and kitchenware. • Size: approx 36 m². Our most luxurious rooms – perfect for the wedding night, a romantic weekend or when you want a luxurious hotel stay. Here you will be greeted by adjustable beds, striking views in three directions, South-facing balcony. • 2x90 cm adjustable beds. 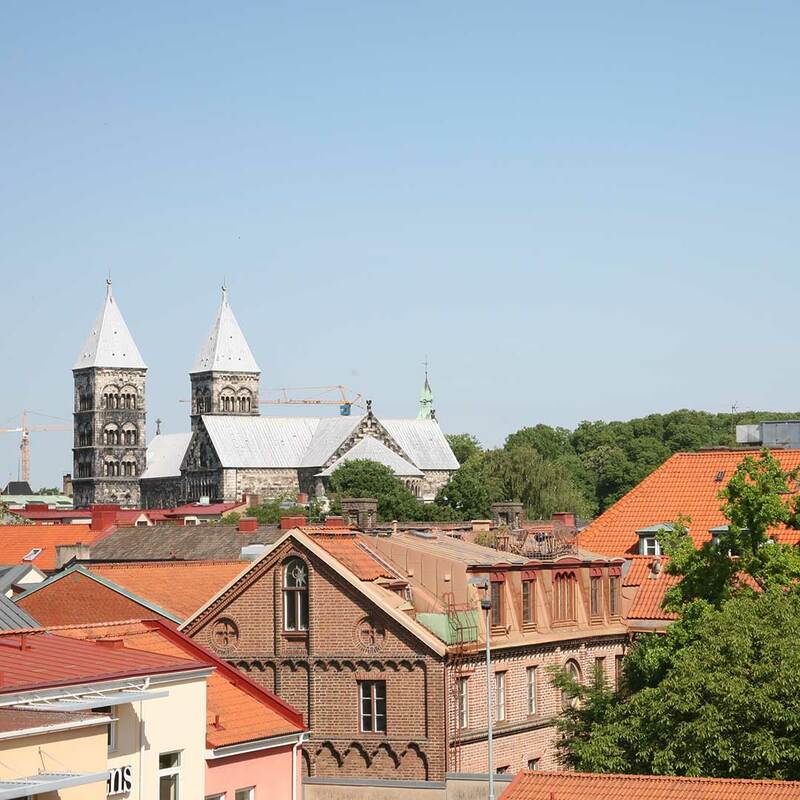 • Views of Lund in three different weather or our own garden. • Extra large kitchenette with refrigerator, stove, microwave oven, kettle, dishwasher, kitchen utensils and a Nespresso coffee machine. • Size: approx 30 m².